(NaturalNews) The familiar phrase "An apple a day keeps the doctor away" may no longer hold true. It seems that, along with many other fruits and vegetables, apples are coated with health-damaging pesticides. Each year, the Environmental Working Group (EWG), a non-profit advocacy agency, releases a list called the Dirty Dozen, of the most contaminated fruits and vegetables. For the past five years, apples ranked as the most contaminated, but this year conventional strawberries overtook them for the number one spot. In a report summary, the EWG said that more than 98 percent of strawberry, nectarine, peach and apple samples tested positive for the residue of at least one pesticide. They found that a single strawberry could be coated with as many as 17 different pesticides. Furthermore, they reported that one grape or sweet bell pepper sample contained up to 15 pesticides a piece, while a potato had more pesticides by weight than any other produce they tested. Though some of these chemicals may be harmless, others have been linked to life-threatening diseases and developmental issues. Should you trust the U.S. Environmental Protection Agency (EPA) when they say levels are not dangerous, or should you take your health into your own hands and opt for organic food instead? "It is startling to see how heavily strawberries are contaminated with residues of hazardous pesticides, but even more shocking is that these residues don't violate the weak U.S. laws and regulations on pesticides in food," EWG's senior analyst, Sonya Lunder, said in a statement. "The EPA's levels of residues allowed on produce are too lax to protect Americans' health. They should be updated to reflect new research that shows even very small doses of toxic chemicals can be harmful, particularly for young children." Why should you care about pesticides? 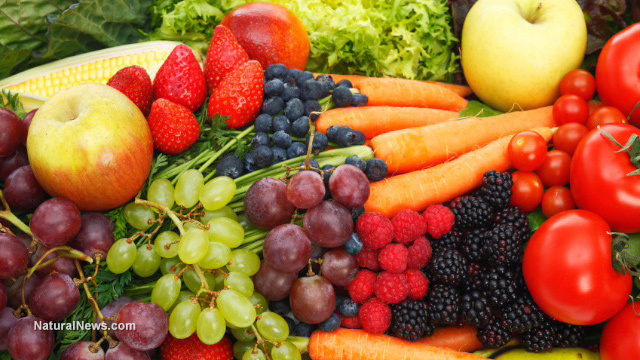 While all health experts agree that we should eat more fruits and vegetables, knowing which ones have high amounts of pesticide residues is vitally important to maintaining good health. Pesticides have been linked to a wide range of health issues. These include developmental problems, hormone imbalances, lower IQ in children, Alzheimer's Disease and cancer. Despite the evidence of these damaging effects, pesticides continue to be used on a widespread basis. To steer clear of pesticide-induced damage, opt for organic foods whenever you can. While that might not always be possible budget wise, make sure to opt for organic when it comes to the foods mentioned in the list below. They contain the most pesticide residues of all the 48 different fruits and vegetables tested. Or why not grow your own? Can't be any safer than that. The foods are listed in order of pesticide load, number one being the most contaminated with pesticides or pesticide residues. Other foods to watch out for are snap peas, blueberries, potatoes, hot pepper, lettuce, kale, collard greens and other leafy greens. You can find a complete list of all the fruits and vegetables tested by the EWG here. Also, if buying organic is not possible, make sure to thoroughly wash conventionally grown produce under cold running water. You can also use a vegetable and fruit wash, or fill your sink with cold water and vinegar or baking soda to rid your produce of pesticides and other nasty chemicals. Old pesticide manufacturing company now deemed hazardous waste zone by the government... but the same chemicals are 'safe' enough for food crops?